Apostle Dr. Tina McCrea is a licensed and ordained minister of the gospel and apostle of Christ our Lord. She is a native of Louisville, KY and a passionate leader and a woman who is serious about advancing God’s Kingdom. Tina has served as a Christian Educator for children’s church, Sunday school, Women and Couples. She served as an anointed youth director and book store manager in a thriving ministry in Atlanta GA.
Tina is a survivor of domestic violence and is dedicated to helping other women and men shatter this stronghold in their lives. Her ministry gifts to include Chaplaincy/visitation ministry, Outreach both on a large scale and one-on-one, Adult and Couples Bible instructor, and Women’s Ministry Coordinator for a mega ministry. She has conducted seminars with topics such as Becoming a Contagious Christian, Focus or Failure, God’s Armor Bearers, Climbing the Corporate Ladder in High Heels, and HomeBuilders Couples Bible Study. Tina is a certified Program Portfolio Project Management, Process Improvement PM, Global O&S Professional with over 39 years experience. Her focus is on Market Place Evangelism, Leadership Development, and Cultivating the Family. Tina McCrea completed the Lay Theology Institute at Emory’s Candler School of Theology; she’s a graduate of Billy Graham School of Evangelism and has received other leadership training in the area of Pastoral Care & Counseling and Ethical Leadership. She is a Certified Project Manager through Project Management Leadership Group (PMLG), Certified LEAN 1B through OEE, and Certified John Maxwell Coach, Speaker, and Trainer. 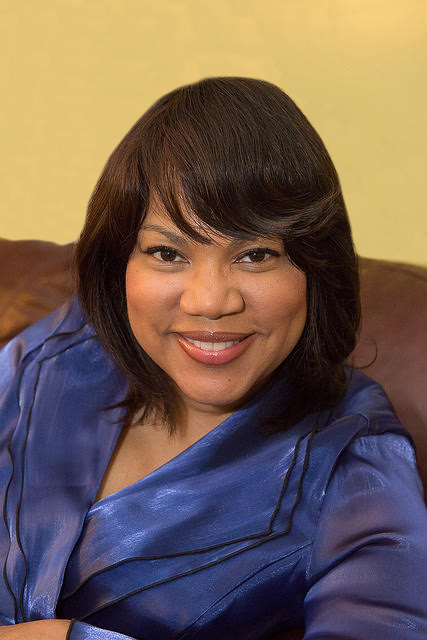 Pastor Tina McCrea resides in the Metro Atlanta Area and is married to Apostle Gary L. McCrea. They have a vibrant and beautiful daughter Gina. Tina and Gary are dedicated to helping families become free through the power of Christ and are founders of Without A Trace Ministries Inc. which is adopted from John 8:36 AMP So if the Son liberates you [makes you free], then you are really and unquestionably free. Apostle Gary McCrea is an ordained minister of the gospel. He is a native of Kingstree, SC – a man with a true call from God, who depends on God and is gifted by the Holy Spirit to serve God’s people. He is a man of prayer, humility and who has a spirit of dependence on the Lord. Gary is full of Christ’s love and commitment for all people who need to be set free by the power of the Holy Spirit. Gary understands what it means to be in church actively working while lacking a real relationship with Jesus Christ. He has been set free from alcoholism, drug abuse and homosexuality through the power of Jesus Christ for over 23 years and has celebrated over 27 years of sobriety. 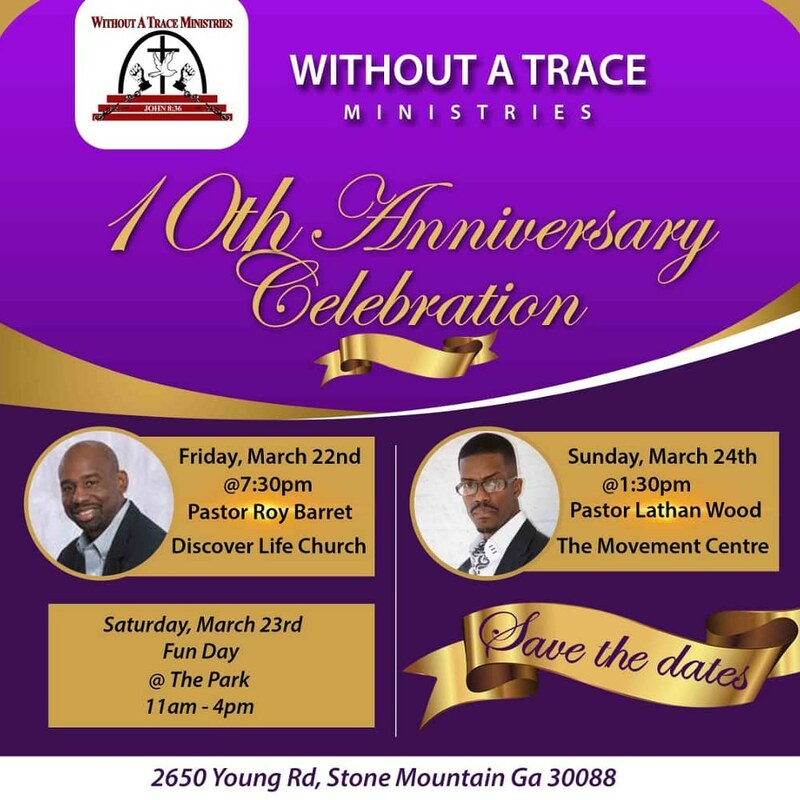 This is one of the driving forces behind the founding of Without A Trace Ministries, Inc.
Gary holds a BS in Computer Science and Mathematics, MS in HR Management and Development, and has nearly 20 years experience as a Human Resources professional. He is excellent at helping others see their value and self-worth. This qualifies him to be the awesome soul winner and ambassador for Christ that he is; shattering strongholds in the lives of people who struggle in the areas where he has experience victory. 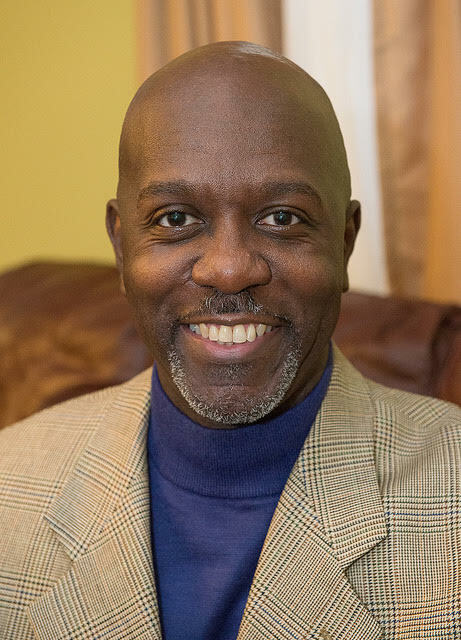 He is currently pursuing a certification in Biblical Counseling from Light University. Gary has been married to Tina McCrea for sixteen years and has a beautiful daughter. Gary and Tina have been trained on Kingdom Perspectives on Sexuality. They are trained facilitators for HomeBuilders Couple’s Bible Study, Premarital Counseling, Forward Facilitators, and Gary and Tina hosted a live radio broadcast on Power 1350 WLOU entitled “Tidbitz of Wisdom on Relationship” for nine years and have appeared on WATC-TV Atlanta Live.